There are very few low risk, low margin opportunities these days in the future markets. As traders we like to take as little risk as possible while maximizing profits to the greatest extent. There are very few trading approaches that offer this ideal combination. If you have never traded spreads before then this is a great opportunity for you to learn how to find and trade the highest odds lowest risk and lowest margin spreads available today. 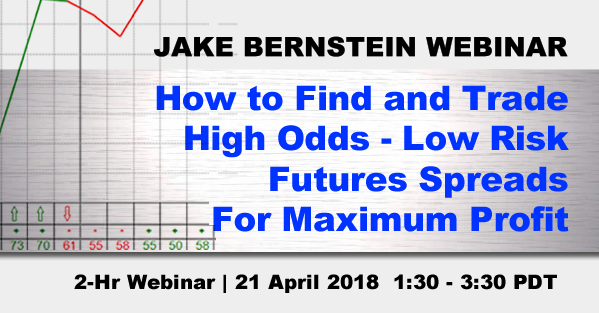 If you have traded spreads before and you understand their power and potential as well as their high degree of predictability then this webinar can improve vastly on what you are already doing. The vast majority of spreads are traded by professionals. At my webinar I will not only teach you how to find the right spreads but how to enter and exit spreads using the right orders and confirming timing triggers. I will show you three different methods for trading spreads all of which are completely objective and 100% rule-base. As an example here is one of the spreads I will show you. Note that this spread contains everything you need to know, entry date, exit date result, complete history, stop loss, average profit average loss and so much more. 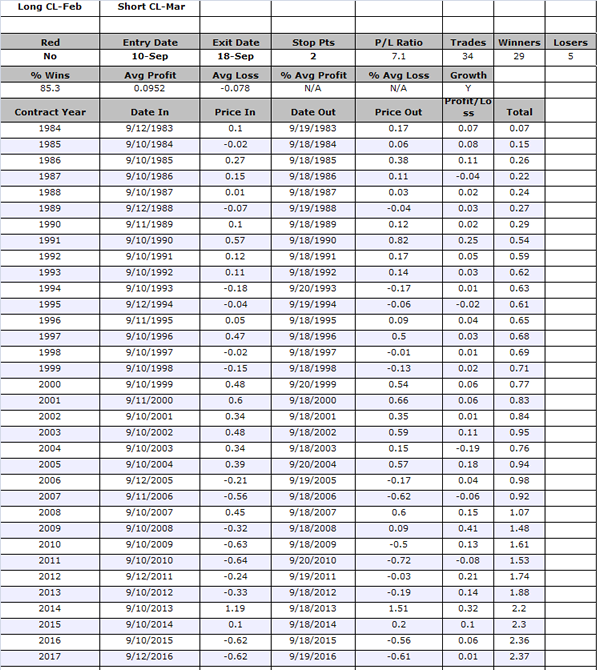 This is a wealth of information that is not available to most traders simply because they do not have a history or the methodology to generate history. Here’s your opportunity to learn from someone who really knows how to maximize spread trading to your advantage. 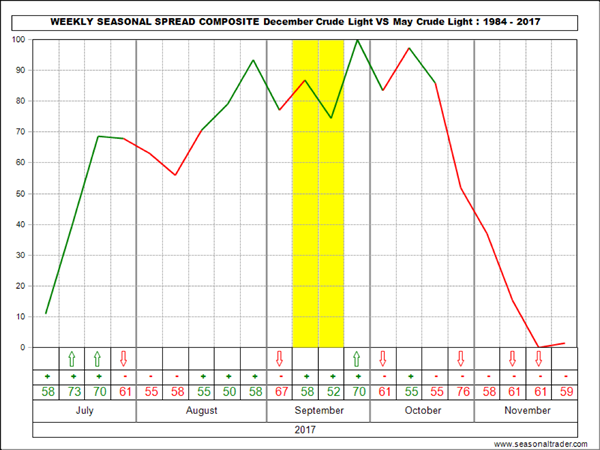 I will also teach you exactly how to use seasonal spread charts in order to determine timing and optimum move as well as magnitude of move. The chart below is an example of what I’m talking about. I’ve kept the cost of this two hour webinar extremely low to allow as many traders as possible to access my information at a reasonable price. Just one profitable spread trade based on my information could easily make much more than what you pay for this webinar.